We are not postmodern Christians. We are Christians who live in a postmodern world. Jesus transcends all culture, be it modern or postmodern, and we dare not create another level of the "Christian ghetto" in which to insulate ourselves farther from the world. In the original "Matrix" movie, the Oracle instructed Neo, "Know thyself"; for Neo (and for us), it meant to become comfortable with who we are, and what we are called to do. In Neo's case, it was embracing being "the One"; for us, it's embracing who God has made us to be, and what He has called us to do, and rejecting both the box of modernism and the box of postmodernism (for they both limit us and fail to adequately define us). 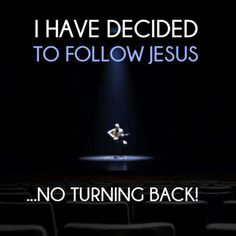 We are followers of Jesus. That is what defines us and gives us our identity. Anything else is a form of idolatry.